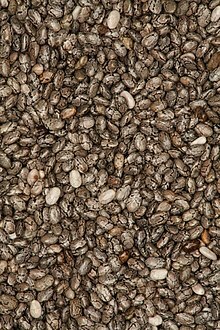 Chia is grown commercially for its seeds rich in α-linolenic acid. A nutraceutical is a pharmaceutical- and standardized nutrient. In the US, "nutraceuticals" do not exist as a regulatory category; they are regulated as dietary supplements and food additives by the FDA under the authority of the Federal Food, Drug, and Cosmetic Act. Nutraceuticals are treated differently in different jurisdictions. Under Canadian law, a nutraceutical can either be marketed as a food or as a drug; the terms "nutraceutical" and "functional food" have no legal distinction, referring to "a product isolated or purified from foods that is generally sold in medicinal forms not usually associated with food [and] is demonstrated to have a physiological benefit or provide protection against chronic disease." In the global market, there are significant product quality issues. Nutraceuticals from the international market may claim to use organic or exotic ingredients, yet the lack of regulation may compromise the safety and effectiveness of products. Companies looking to create a wide profit margin may create unregulated products overseas with low-quality or ineffective ingredients. A market research report produced in 2018 projected that the worldwide nutraceuticals market would account for over US$ 80,700 million in 2019, defining that market as "Dietary Supplements (Vitamins, Minerals, Herbals, Non-Herbals, & Others), and Functional Foods & Beverages". Nutraceuticals are products derived from food sources that are purported to provide extra health benefits, in addition to the basic nutritional value found in foods. Depending on the jurisdiction, products may claim to prevent chronic diseases, improve health, delay the aging process, increase life expectancy, or support the structure or function of the body. Dietary supplements, such as the vitamin B supplement shown above, are typically sold in pill form. Dietary supplements do not have to be approved by the U.S. Food and Drug Administration (FDA) before marketing, but companies must register their manufacturing facilities with the FDA and follow current good manufacturing practices (cGMPs). With a few well-defined exceptions, dietary supplements may only be marketed to support the structure or function of the body, and may not claim to treat a disease or condition, and must include a label that says: “These statements have not been evaluated by the Food and Drug Administration. This product is not intended to diagnose, treat, cure, or prevent any disease.” The exceptions are when the FDA has reviewed and approved a health claim. In those situations the FDA also stipulates the exact wording allowed. Considered a father of Western medicine, Hippocrates advocated the healing effects of food. Functional foods are fortified or enriched during processing and then marketed as providing some benefit to consumers. Sometimes, additional complementary nutrients are added, such as vitamin D to milk. Health Canada defines functional foods as “ordinary food that has components or ingredients added to give it a specific medical or physiological benefit, other than a purely nutritional effect.” In Japan, all functional foods must meet three established requirements: foods should be (1) present in their naturally occurring form, rather than a capsule, tablet, or powder; (2) consumed in the diet as often as daily; and (3) should regulate a biological process in hopes of preventing or controlling disease. The word "nutraceutical" is a portmanteau of the words "nutrition" and "pharmaceutical", coined in 1989 by Stephen L. DeFelice, founder and chairman of the Foundation of Innovation Medicine.Indians, Egyptians, Chinese, and Sumerians are just a few civilizations that have used food as medicine. 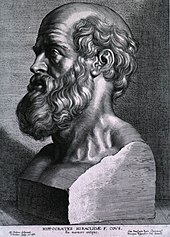 “Let food be thy medicine.” is a common misquotation  attributed to Hippocrates, who is considered by some to be the father of Western medicine. ^ Sarris, Jerome; Murphy, Jenifer; Mischoulon, David; Papakostas, George I.; Fava, Maurizio; Berk, Michael; Ng, Chee H. (2016). "Adjunctive Nutraceuticals for Depression: A Systematic Review and Meta-Analyses". American Journal of Psychiatry. 173 (6): 575–587. doi:10.1176/appi.ajp.2016.15091228. ISSN 0002-953X. PMID 27113121. ^ Banach M, Patti AM, Giglio RV, Cicero AFG, Atanasov AG, Bajraktari G, Bruckert E, Descamps O, Djuric DM, Ezhov M, Fras Z, von Haehling S, Katsiki N, Langlois M, Latkovskis G, Mancini GBJ, Mikhailidis DP, Mitchenko O, Moriarty PM, Muntner P, Nikolic D, Panagiotakos DB, Paragh G, Paulweber B, Pella D, Pitsavos C, Reiner Ž, Rosano GMC, Rosenson RS, Rysz J, Sahebkar A, Serban MC, Vinereanu D, Vrablík M, Watts GF, Wong ND, Rizzo M; International Lipid Expert Panel (ILEP). The Role of Nutraceuticals in Statin Intolerant Patients. J Am Coll Cardiol. 2018 Jul 3;72(1):96-118. doi: 10.1016/j.jacc.2018.04.040. ^ "Labeling & Nutrition". The Food and Drug Administration, US Department of Health and Human Services. 5 October 2016. Retrieved 2016-10-11. ^ "Nutraceuticals / Functional Foods and Health Claims on Foods: Policy Paper". Health Canada. June 24, 2013. Retrieved January 30, 2014. ^ Staff, FDA. Last updated March 29, 2013. Food Labeling & Nutrition Overview. ^ Committee on the Framework for Evaluating the Safety of the Dietary Supplements (2005). "Committee Change". Dietary Supplements: A Framework for Evaluating Safety. Institute of Medicine. p. 21. ISBN 978-0-309-09110-7. ^ "Overview of Dietary Supplements". Fda.gov. Retrieved 2011-06-03. ^ "Glossary - Biotechnology". Hc-sc.gc.ca. Retrieved 2011-06-03. ^ Hardy, G (2000). "Nutraceuticals and functional foods: introduction and meaning". Nutrition. 16 (7–8): 688–9. doi:10.1016/S0899-9007(00)00332-4. PMID 10906598. ^ Kalra EK (2003). "Nutraceutical-definition and introduction". AAPS PharmSci. 5 (3): 27–28. doi:10.1208/ps050325. PMC 2750935. PMID 14621960. ^ Cardenas, Diana (2013). "Let not thy food be confused with thy medicine: The Hippocratic misquotation". e-SPEN Journal. ^ Shibamoto, Takayuki; Kanazawa, Kazuki; Shahidi, Fereidoon; et al., eds. (2008). Functional Food and Health. ACS Symposium. p. 993. ISBN 978-0-8412-6982-8. Aggarwal, B.B. et al. “Molecular Targets of Nutraceuticals Derived from Dietary Spices: Potential Role in Suppression of Inflammation and Tumorigenesis”, Experimental Biology and Medicine (2009),234(8):825-849. Gupta, S.C. et al. ” Regulation of survival, proliferation, invasion, angiogenesis, and metastasis of tumor cells through modulation of inflammatory pathways by nutraceuticals“, Cancer Metastasis Reviews (2010),29(3):405-434. Kannappan, R. et al. “Neuroprotection by Spice-Derived Nutraceuticals: You Are What You Eat!”, Molecular Neurobiology (2011),44(2):142-159.